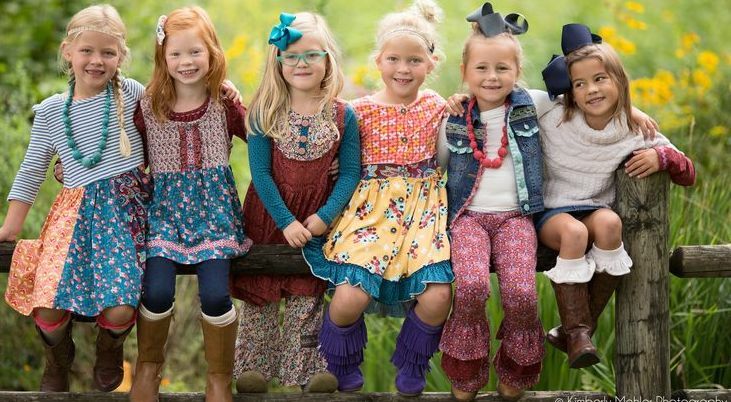 We LOVE Matilda Jane Clothing and Matilda Jane Clothing has beautiful new dresses, tunics, bows, bennys ( Ruffled leggings), hoodies, coats, vests, skirts, shorties ( ruffles shorts), lunch boxes, book bags, and holiday traditions like stockings, tree skirts and more. We love the unique collaboration of textures and prints for this beautiful girls line of clothing. Matilda Jane Clothing is one of a kind and quantities are limited. 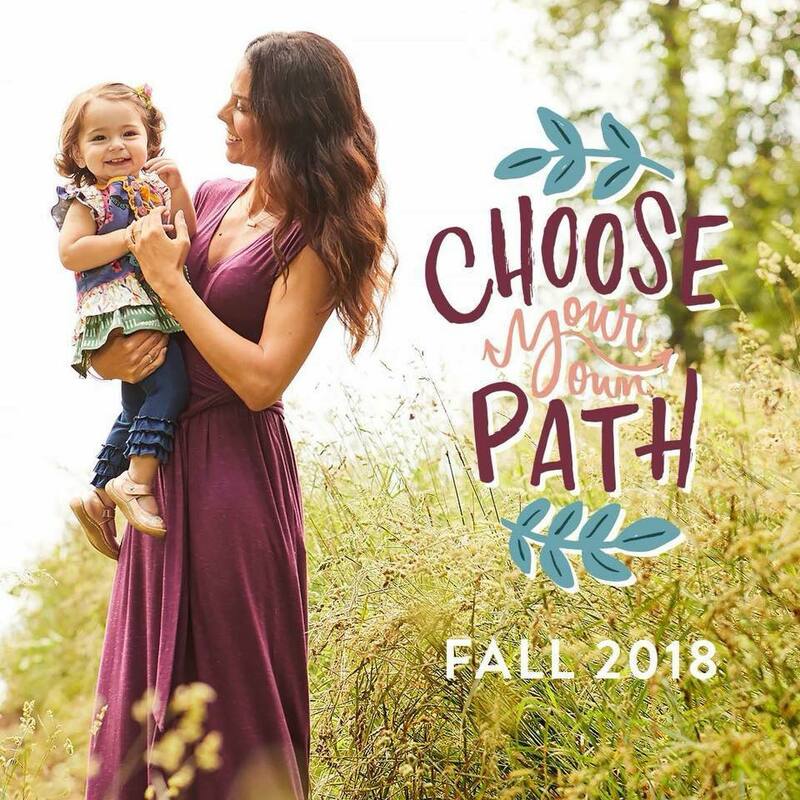 They use natural fabrics, soft knit cotton, comfortable rayon and add just the right amount of spandex to make each Matilda Jane Clothing piece move with ease and stretch with your child. Matilda Jane Clothing is our absolute favorite brand. We resale Matilda Jane Clothing. We offer New Matilda Jane Clothing. We offer Discounted Matilda Jane Clothing. 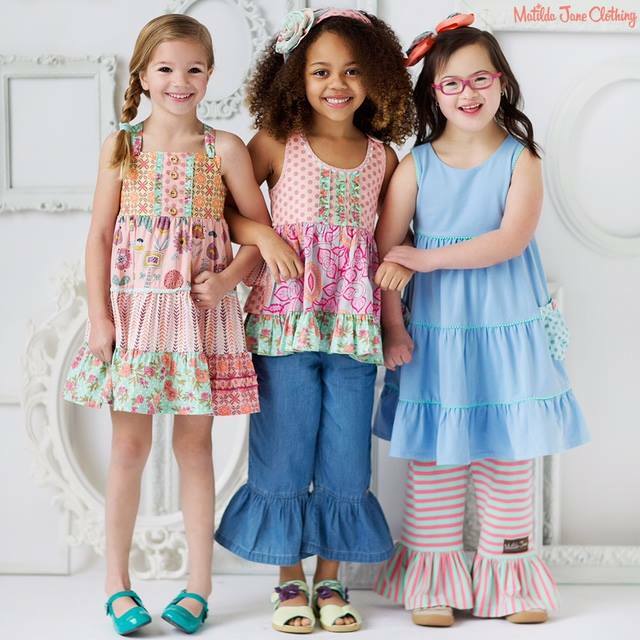 We offer Hard to Find Matilda Jane Clothing and Vintage Matilda Jane Clothing . We are happy to collaborate with Trunk Keepers of Matilda Jane Clothing to make sure we have the best Matilda Jane Clothing selection! Check back often to see what new Matilda Jane Clothing items we have in store. even offers Mommy Sizes! Get aCoordinating and matching Mommy and Me Matilda Jane Clothing outfit for your family pictures or just to match your little girl. The best thing about Matilda Jane is it's the perfect gift for Grandmothers to give their Granddaughters. Watch your grand daughter twirl and play while being comfortable, girly and adorably stylish! Matilda Jane Clothing uses youthful colors and fantastic unique prints. Matilda Jane designs clothes for little girls to wear every day while they grow and learn and play indoors and outside. Here are all the Goodies for Fall 2018!